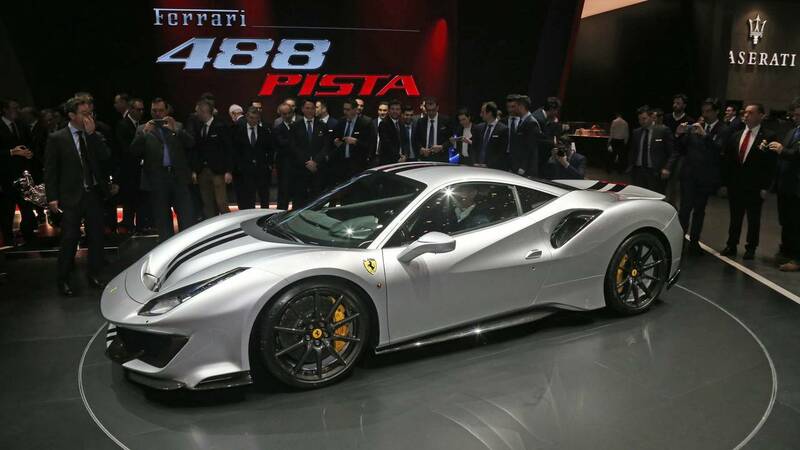 The track special 488 swansong makes its debut. Challenge Stradale, Scuderia, Speciale… Ferrari’s mid-engined track special stable is full of some impressive machinery, and now there’s another one. One that has a hell of a lot to live up to. Ferrari has already showed us studio shots of the car on the internet, but cars aren’t two-dimensional things, they’re driven on the road and the track. That second part explains the name for this new breed of Prancing Horse. Pista is Italian for track, so you know exactly what this car is for. Geneva has given us our first proper look at the Pista in the flesh, and it’s definitely something special. 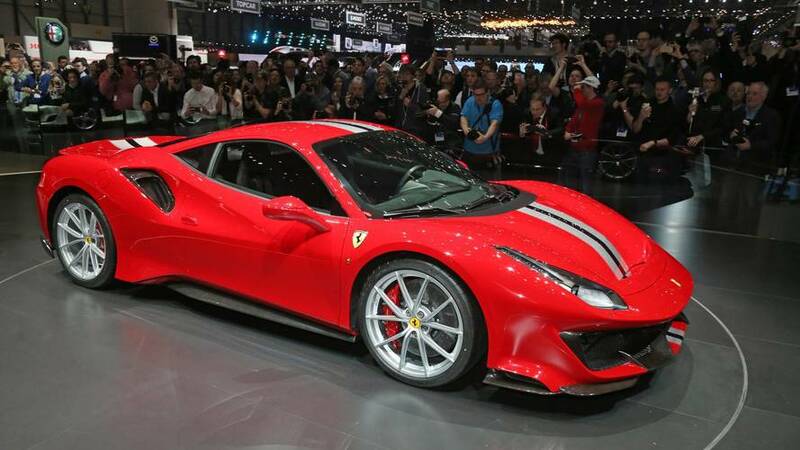 Lashings of aluminium, titanium and carbonfibre help keep the weight down to a minimum of 1,280kg dry – 90kg less than the standard 488 GTB – while the 3.9-litre twin-turbocharged V8 shoots the car from 0-62mph in 2.85sec and onto a top speed of 211mph. That engine, a 3.9-litre twin-turbocharged unit, is a key talking point with this car. Its predecessor, the 458 Speciale and its droptop sibling will probably go down as being the last normally aspirated V8 Ferraris. 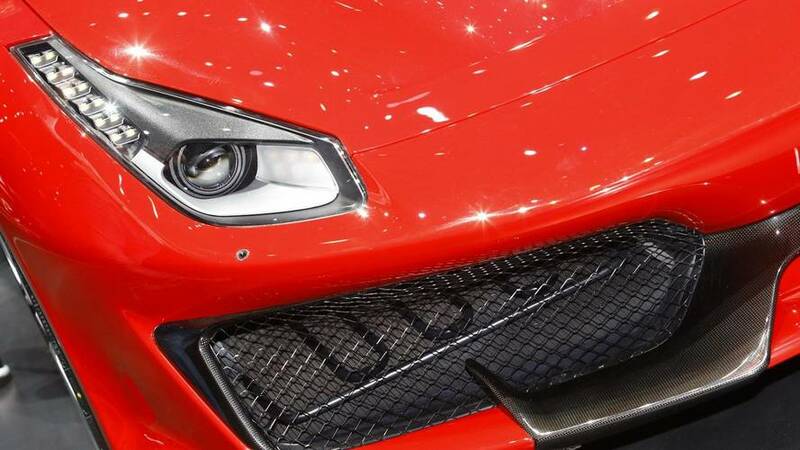 That left a bitter taste in the mouth of some purists, but Ferrari worked on the Pista to give performance fans a new song to sing. The engine produces an incredible 711bhp at 8,000rpm and 568lb ft of torque at 3,000rpm, which makes this the most powerful V8 Ferrari ever. Turbocharged or not, that is an impressive feat. 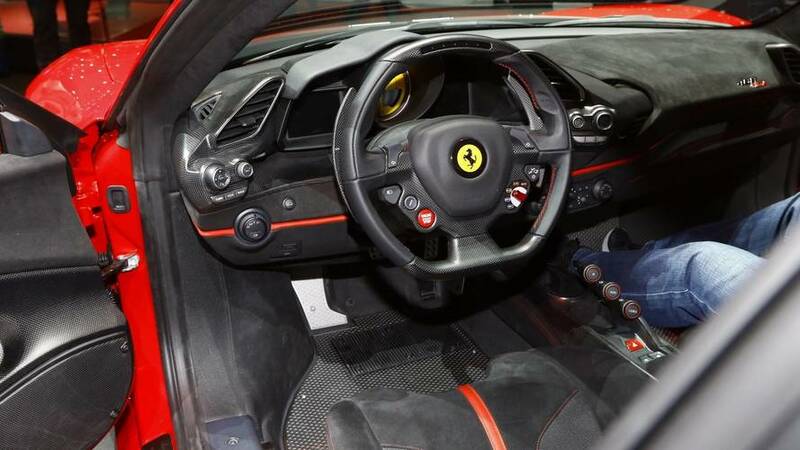 If you want one, good luck – not only because it'll be expensive, but because these limited-run specials tend to be reserved for those who are extra pally with the men in Maranello. Never mind though, Abarth has something very similar and equally as red. Check out the full gallery of the car below.